Ten great Fetty wap jams to get you started. Showed her how to whip it, now she remixin' for low"
Whether it's out of some car or in some bar, you're probably going to hear "Trap Queen" at some point, unless you've already had it on repeat for months now. If you don't dig the original, the remix boasts verses from Yo Gotti, French Montana, and Quavo. 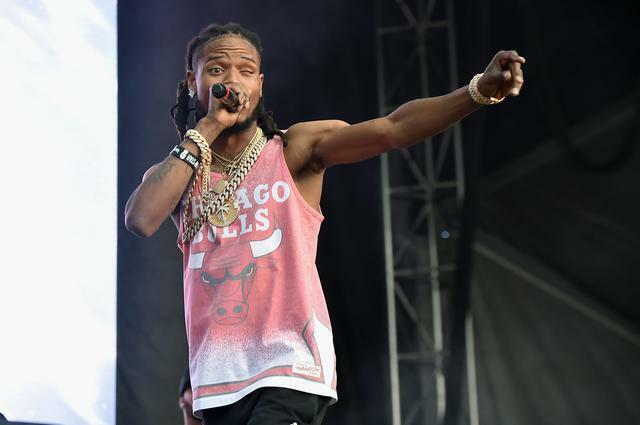 At any rate, Fetty Wap is quickly becoming a household name, and he has tracks other than "Trap Queen" too. Here are 10 essential cuts if you're looking to get into the New Jersey native's music. You could say Fetty Wap's career received a pretty serious boost when Drake jumped on a remix of "My Way" back in May. The track is a perfect summertime jam, complete with Wap's singing/rapping style and a bouncy beat. "Again" has been recorded for a year or so, but just saw the light of day since Fetty's demand has gone way up. Wap is introducing his crew to the world: Remy Boyz. "679" is one of the more popular joints they have together, and it's for good reason. Melodic trap music, in the form of "RGF Island." You know what it is as soon as you hear the introductory vocal ditties. If there's one thing that up-and-coming artists have in common, it's that they take no days off. Here's Fetty's take on the 'hustle hard' philosophy. Monty returns the favor from "No Dayz Off" and features Fetty on his track. A little production from electronic music producer Baauer can help you get some air time in the club. Check out "Promises" if you like bangin' rap music (duh...). R&B / hip hop crossover hasn't sounded so fresh in a minute. Check out some newer Wap on "D.A.M." Ever since "Trap Queen" exploded, Fetty's been releasing music and videos non-stop. "A Couple Bandz" is just another part of the hustle. You didn't think we'd forget this one, did ya? Future's Official First Week Sales For "DS2"